until you get your self-realization! If you can’t wake from your dream, how would you know the difference between the real and the dream. 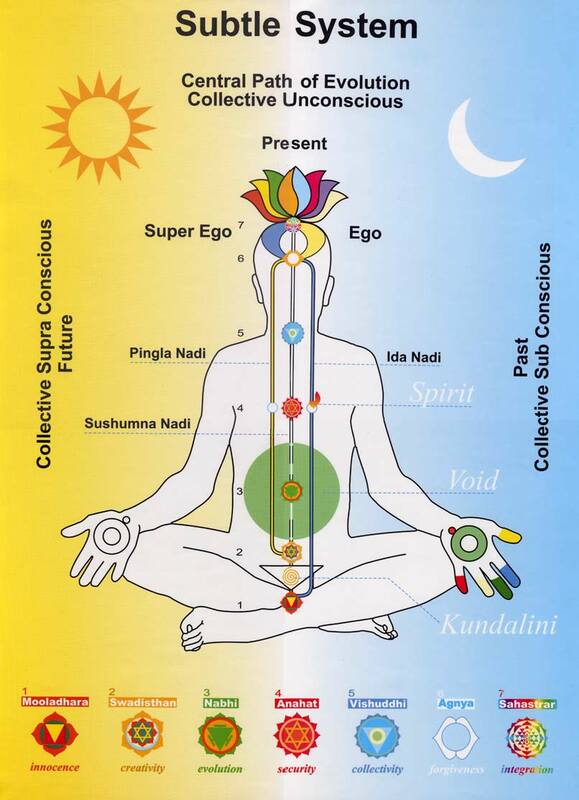 First, let me tell you about the Kundalini. The Kundalini is the power of pure desire within us – a maternal, energy which resides in a latent state in the triangular sacrum bone at the base of our spine. Why you hardly sleep, why you feeling lonely, and why night after night, you sit by your computer. Sahaja Yoga is the easiest and most powerful technique of meditation. Sahaja Yoga was founded by Shri Nirmala Srivastava, more widely known as Shri Mataji. Sahaja Yoga Meditation is all-inclusive. All the major religions and their core teachings are acknowledged and respected in Sahaja Yoga. No one’s spiritual journey is right or wrong. And through meditation the wisdom of all the great gurus and saints is easily revealed and understood. Unfortunately, no one can be told what the Truth is. You have to see it for yourself. Take the blue pill here and forget everything. Take the red pill here and see the truth of your reality.